We do provide field customization on the Visit form on our TeamSpoor application but it is very limited in its functionality for some of our users, who were looking for a more advanced way to customize the forms as per their requirement. We did hear that patiently and worked hard on it and today we are glad to announce Custom Forms feature on our TeamSpoor platform. Custom forms allow you to create dynamic forms as per your organizational needs. For example, if you are using TeamSpoor reporting automation solution for Service Delivery then you can create Payment Form and Customer Feedback form, which are additional to Visit form filled by the field executive. Same goes for Field Sales Employees where you can create a custom form for them to fill in the Order details of the sale. Custom forms work in tandem with our Visit Form. So, once the employee has filled the visit details then he can update the additional details of the visit, like Images, Signatures and other custom forms. There is no limit how many custom forms you can create in the app and also, you can assign different forms to different teams. Can these forms be added to our existing CRM or software? 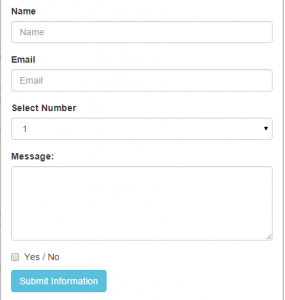 Yes, you can use our API to get the details of the form filled by your employee. You can even take the printout of the visits from our MIS panel. How to add these custom forms to mine account? Create a support request from https://intueri.freshdesk.com with the form details and the teams you want to assign them and our tech team will get it done for you within 3 working hours. Are custom forms available with free or starter account also? Custom forms are only available with our Professional and Enterprise plan. To add custom forms to other plans the charges are $ 50 / form (one time).